I have extensive experience with mobile web and app design, particularly in my role as Director of Product Design and an art director for the international media design agency García Media from 2011 to 2015. Most projects I worked on included a responsive web or mobile/tablet app component. At García Media, I would partner with editors and designers from our client news organizations to rapidly create mobile prototypes. These prototypes were key parts of launching new mobile app and web experiences, as we did for The McClatchy Company’s 29 daily American newspapers and Postmedia’s eight Canadian dailies. I frequently presented on the opportunities in, and best practices for, an increasingly mobile world to executives and editors and edited the ebook iPad Design Lab: Storytelling in the Age of the Tablet. I led the design and front-end development for our responsive redesign of the Columbia Journalism Review. 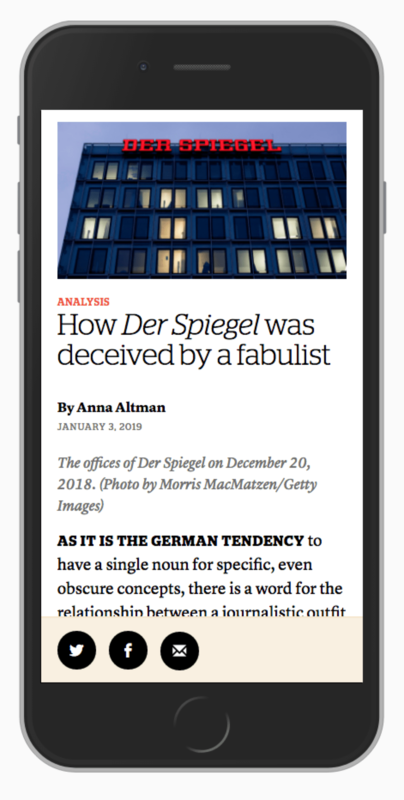 Given its lengthy articles, we strove to make sure that CJR offered a highly readable experience on mobile. I spent a great deal of time tweaking the type palette I selected to ensure that the text was comfortable to read on small screens and that the elegant headlines were just the right visual weight. I worked on multiple mobile web and app prototypes as part of a print and digital rethinking of The McClatchy Company’s 29 daily newspapers, including the Miami Herald and The Kansas City Star. At American City Business Journals, my team and I almost always design responsive web experiences. But mobile was a particularly important consideration in the work that I directed on our account page. Our team overhauled the account section to better align with core user tasks and accommodate future initiatives. At the start of the project, we set up a survey asking our users why they came to the account section. The survey revealed that the most common reason for coming to the account section was to update your information, such as a new email address or mailing address. 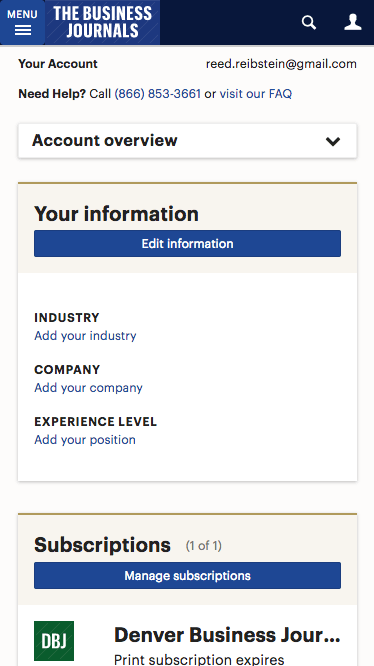 While the previous account overview page placed “Edit account info” in a secondary position off to the side, we designed the new overview page to place users’ core information front and center, along with a strong call to action to edit it. The next most common user tasks were viewing/editing their subscription status and updating their email newsletter subscriptions, which led us to make those prominent tiles on the account overview page, too. We conducted usability tests on prototypes, which confirmed that the account overview's organization and language made sense to our users. 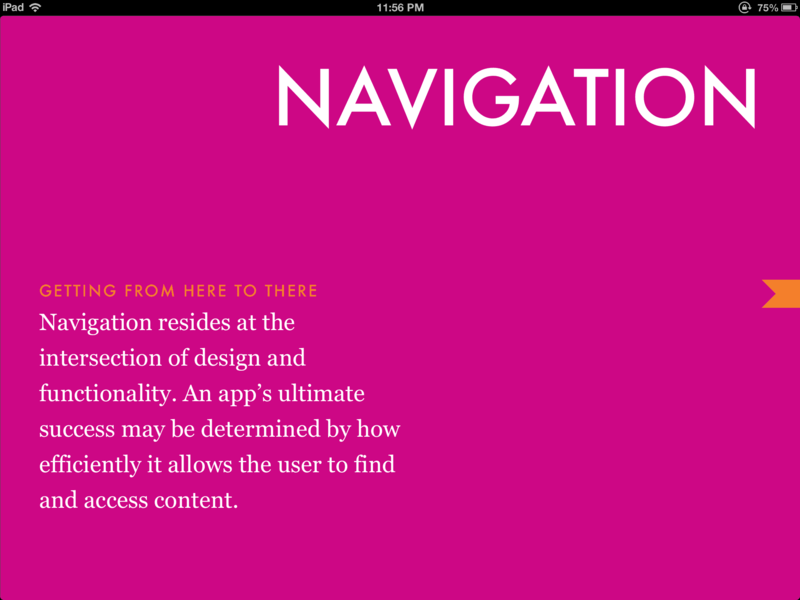 I edited and designed Mario García’s ebook on creating tablet apps. Mario and I began working on the ebook only a few months after the iPad’s release. 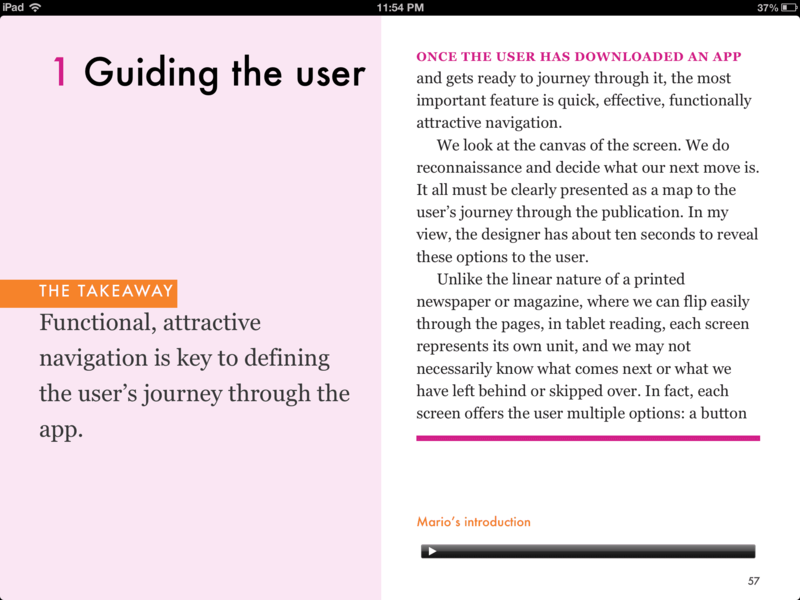 HOW Books published iPad Design Lab as an interactive “multitouch textbook” through iBooks in September 2012.